As it says on the tin, this title is a bundle of classic Capcom Beat Em Ups, also known as Brawlers or Side Scrollers. 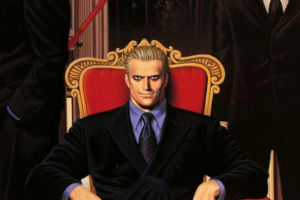 A genre that has seen somewhat of a resurgence lately Capcom is here to remind everyone that they may not have been the first but they are the greatest. Is this the classic experience or just a broken cabinet of dreams in the corner? Read on to find out!. Capcom Beat Em Up Bundle packages some of the great CPS titles from the 90’s, if you happened to enter any arcade during the early 90’s chances are you will have seen one of these games, or the crowd surrounding the cabinet as people eagerly lay money down for a chance to clean house. The titles included in this are as follows. What you have here is quite the eclectic mix in themes with one common goal, reach the end of the stage, beat the boss and do it over again until you beat the big bad!. Another thing they all have in common is they are all multiplayer and this is where they all shine!. Final Fight is one of my personal all time favourite titles and is a legend within the genre, initally starting life as Street Fighter ‘89, this title developed it’s own identity and took what titles like Double Dragon & Renegade did and aimed to improve them. 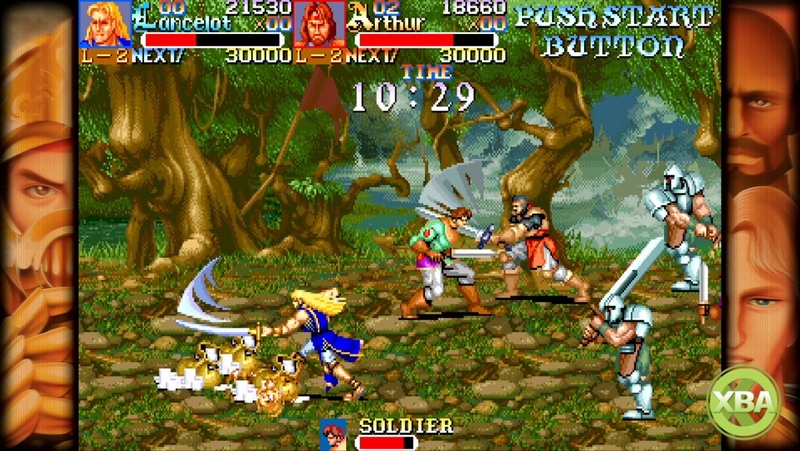 The graphics and soundtrack are still fantastic to this day and nothing quite matches the feeling of piledriving a thug into the concrete with Haggar. 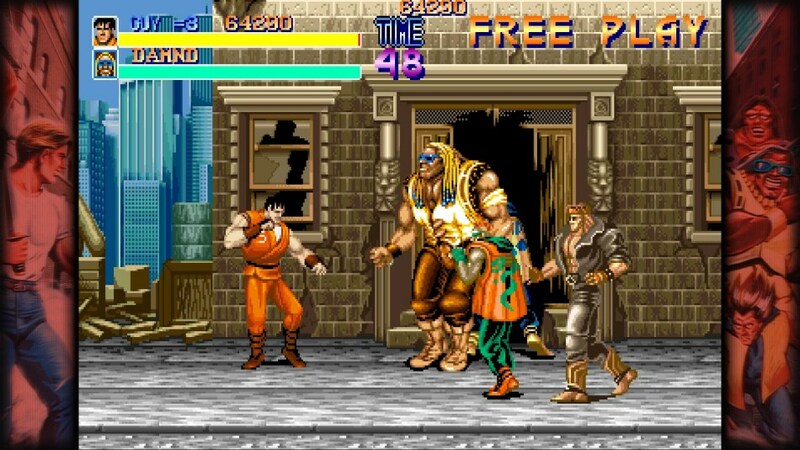 Final Fight starts off quite easy and ramps that up by ten fold by the time you walk into level 2, as this is the arcade version of the title expect to be pumping alot of digital quarters into #this title!. One thing I will say about the game is that it has never lost it’s charm, it’s easy enough to put on with anyone in mutiplayer and you’ll have a riot. Final Fight is an ideal place to start with this package, especially if you are new to the genre and want to see where Street Fighter favourites like Cody, Rolento & Poison come from. This game is also multiplayer but this time they have ramped the player count up to 4 players compared to Final Fight’s 2 player count. This means that there is an even higher count of sprites on screen and the action never lets up. 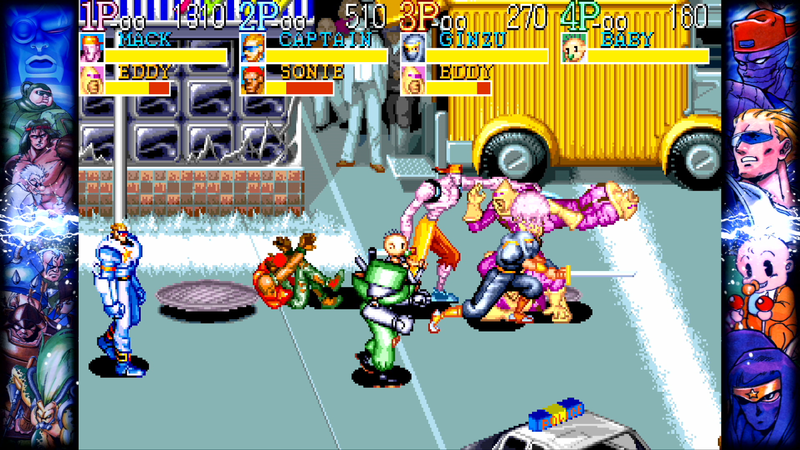 Captain Commando is just the tip of how quirky Capcom can get and one of my favourite arcade experiences are from this game, the owner of the arcade was getting rid of the machine and noticed I spent alot of time with it so turned it to free play so I could see the end of the game before it went. The game still holds up very well and though it doesn’t quite have the legacy of others of the genre it easily muscles it’s way in with charm and action abound. King of Dragons is the first real deviation from the blueprint set by the previous titles, this time the game is set in a classic RPG fantasy setting, knights and wizards included. The game features 5 different characters based on standard fantasy cliches and also features a very light RPG mechanic in that you can level up, this is set over 16 levels though they aren’t quite as long as a standard scroller level. Another deviation here is that there isn’t combos, it’s more of a single hit system and can honestly feel quite jarring here after the previous two titles. It’s well worth a peak into this game and as standard it’s fantastic in multiplayer but it’s honestly the weakest title of the package. Not a bad game by any stretch it just shows the standard of the other games in the package. 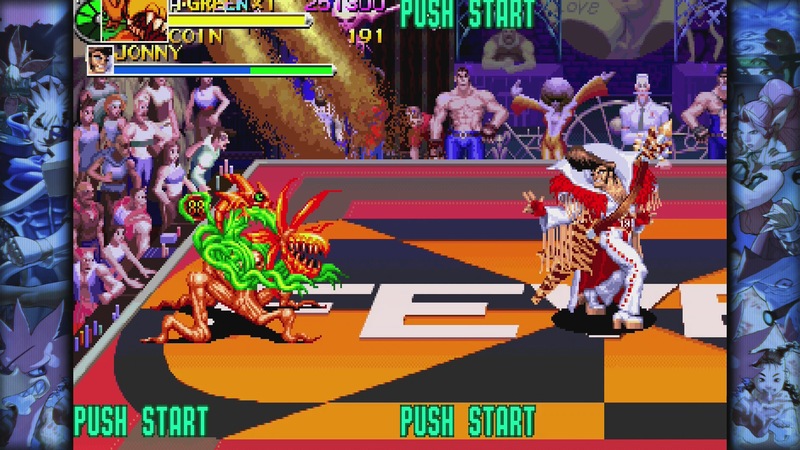 Knights of the Round follows on from King of Dragons in theme only this time using the legend of King Arthur and the Round Table as it’s setting, also gone is the 1 hit style and it’s returned to the classic combo scrolling beat em up goodness of Final Fight and Captain Commando. Infact this is closer to those titles than King Of Dragons, there is no levelling up and the levels are standard size, if you didn’t really enjoy King of Dragons but love the setting then this is the title for you. 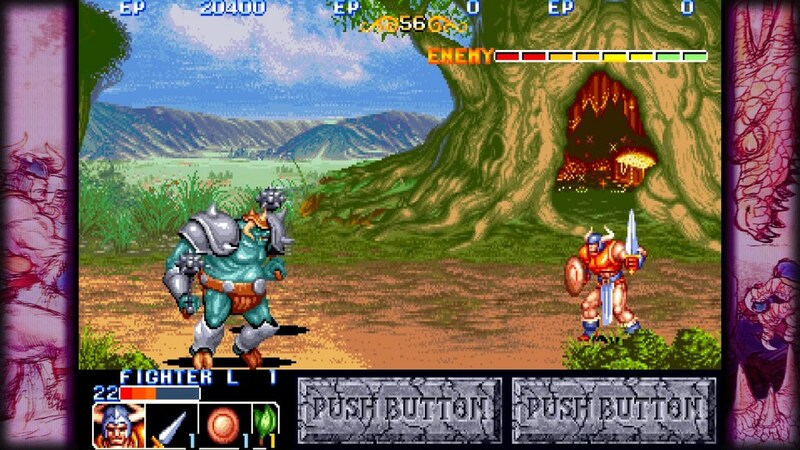 Knights of the Round looks and plays brilliantly, certainly one for fans of titles like Golden Axe!. 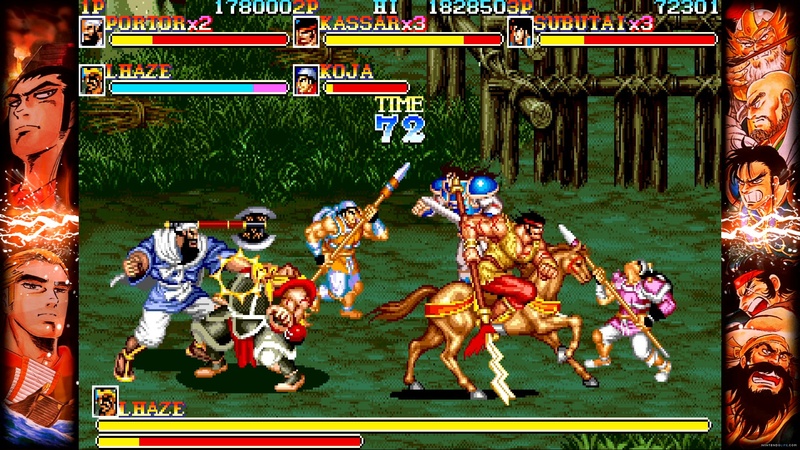 Warriors of Fate is basically Dynasty Warriors before that became a thing!. Using the Romance of the Three Kingdoms as a setting you take arms against the Wei clan as one of the four characters who are actually four of the five Tiger Generals from Shu Han. Once again this retains the classic Beat Em Up style of gameplay and mixes it up with the interesting setting. The game controls brilliantly, looks amazing and for me was a real hidden treasure as I hadn’t played the title before. If you’re a fan of Musou games you should check this title out, you’ll be right at home with it!. Armoured Warriors is one of two titles in this package which never saw a console port and it’s a shame as it’s easily one of the more unique and fun titles on offer in this or any genre. 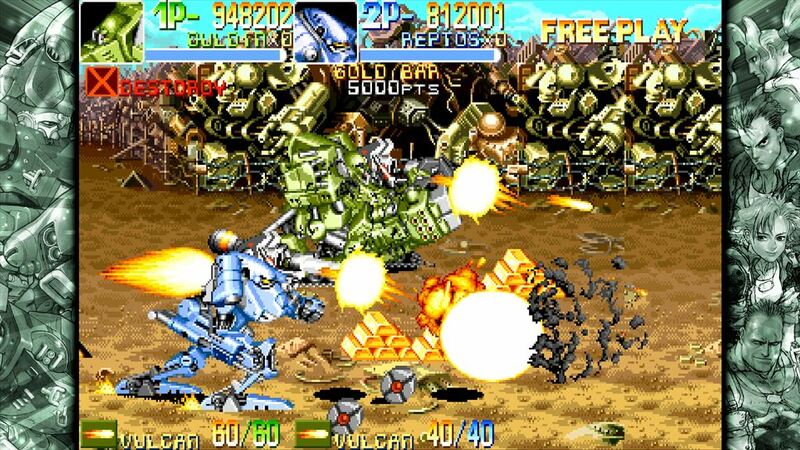 In this game you’ll pilot a mech instead of a human/humanoid character. You can also upgrade your mech with parts found off of other mechs to change your fighting style and really raise all kinds of metal hell. The game is lightning fast and the graphics really show off the pure talent of Capcom and the magic they could produce with sprites. Armoured Warriors has quite a bit of text and story compared to other titles in the package, it won’t win any awards but it’s worth having a little read at least on your first time around. Battle Circuit finishes off this product and if you thought Captain Commando was a strange concept then Battle Circuit can only be described as Captain Commando on a trip. Battle Circuit features a bizarre and quirky cast of playable and side characters, honourable mention to the comedic actions of Dr Saturn. You take the role of intergalactic bounty hunters who get sucked into a galaxy ending plot which involves time travel and copious amounts of strange bad guys to punch your way through. 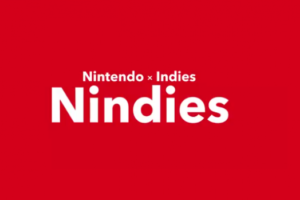 During gameplay you’ll pick up coins which can be used at the end of the stage to upgrade your character and give them special moves in the vein of fighting games. This is a brilliant way to keep the title fresh and give you the freedom to spec your character to how you would play. The character sprites in this title looked a little off but the stage design and sheer quirk of the whole game just oozes charm, it’s easily mistaken for a 90s SNK title with just how out there some of the stuff on show here is. Having never played the previous two titles before I feel my money was more than justified with just Armoured Warriors and Battle Circuit, It was a fantastic decision by Capcom to finally include these titles and it helps lessen the sting of certain licenced titles that unfortunately couldn’t make the cut. Another brilliant feature is you can scale the difficulty, the score when you earn extra lives and even which version of the game you play between the Western or the Japanese version of the games. Capcom Beat Em Up Bundle also features a fantastic gallery mode for each title, borders for the screen which are changeable & of course local and online multiplayer. 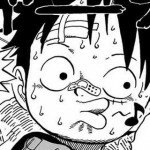 I went through 3 of the games on offer online and the whole time it was smooth bar when people would drop out or join which freezes up your game for around 30 seconds. Another nice features is that you can save and load your game so if something comes up you can pick up your progress later on, not a problem for bigger sessions as the games don’t run much over an hour but a welcome feature for a family man like myself!. I can’t fault the collection on hand here, it’s a shame some titles didn’t make the cut but that can’t be helped, it’s worth noting that all versions are the arcade versions too so people familiar with the home versions may need to adjust to the higher enemy counts, difficulty and slight changes throughout. 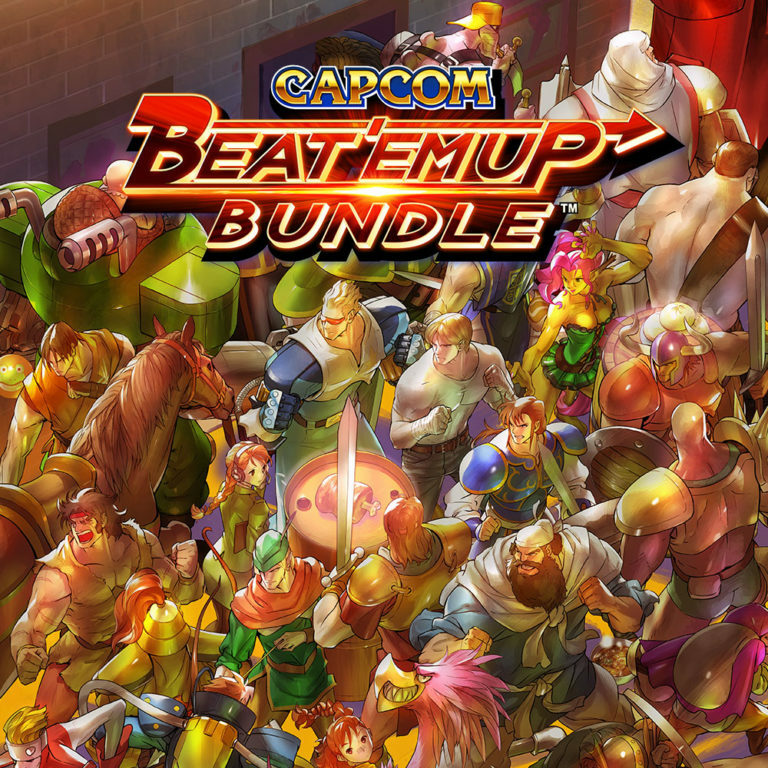 Capcom Beat Em Up Bundle shows why the genre is the multiplayer essential that it’s always been, grab the game, grab some snacks and drinks, turn the lights down and experience the bougiest of beat em ups!.